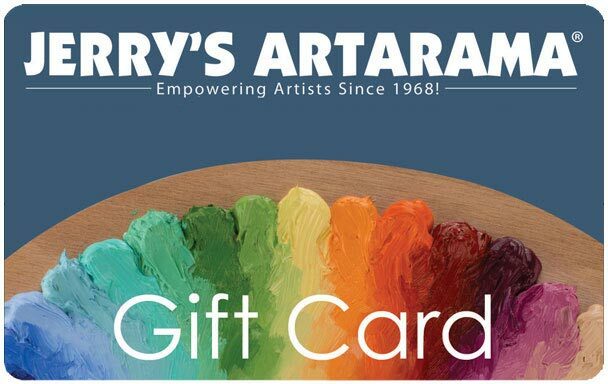 Help inspire more creativity with Jerry’s Gift Cards! These gift cards fit in any wallet and can be used in any of our retail store locations, regardless of which store you purchase it from! Jerry’s Gift Cards are available in any monetary amount! Consider purchasing a $25 or $50 gift card for the artists you know! Gift Cards make a great gift for any occasion and are a great asset for any artistic endeavor!